Bloom360 Learning Community is a 501 (c)(3) non-profit school in southeastern Wisconsin for children with neuro-diverse needs. There are so many good things blooming! 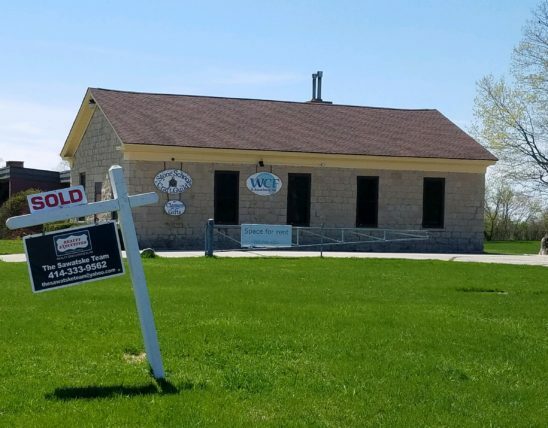 After five years of research and developing its unique educational model, Bloom360 Learning Community today announced it will open its new school at the historic Stone School property at N8921 Stone School Road, East Troy, WI. Bloom360 is currently enrolling and will open in early August to serve children throughout southeast Wisconsin ages five through adolescence with neuro-diverse needs such as ADD/ADHD, autism, dyslexia and other learning differences. An Information Session for prospective families and professionals is set for Wednesday, May 24 from 6:00 – 8:00 pm at nearby Brooklife Church, 857 S. Rochester St. #300 in Mukwonago. A community celebration and ribbon cutting will take place at the school in September. Bloom360’s developmental approach centers on each learner’s strengths and interests and uses a project-based curriculum. Learning occurs in individual and small group settings to maximize learner engagement. A customized learning program is created for each child to help fill any gaps in their learning/development and nurture each child to grow and thrive at their own pace. Enrollment is accepted on a rolling basis throughout the school year. The Bloom360 approach also includes an intentional commitment to involve the community and its learners through internships and service opportunities. Interested community members who have a talent, skill or business they wish to share with learners are encouraged to contact the school. Stone School has a rich history dating back to 1858 as one of the first one room school houses in the area. Early records show it was built by C. Casselman who gifted the land to his granddaughter Eva Kyburz. Casselman blasted the stone from his own quarry on the shore of Potter’s Lake and hauled it down the road with a team of oxen to the school site. He also handmade the bricks that line the one room school building that stands largely the same today. In 1950, an addition was added to the south side of the building to increase the learning space to about 10,000 square feet. In 2000, Stone School transitioned from a traditional school to an art education center where a variety of art classes were available to the community. Contact us today to discuss your child’s needs. There are so many good things blooming! See recent news. We rely on generous donations to help children reach their greatest potential. View details on our admissions process, tuition and fees. Bloom360 Learning Community is a 501(c)(3) non-profit school located in southeastern Wisconsin that provides a refreshing developmental approach to education that recaptures the joy of learning for kids with neuro-diverse needs.